Best Western’s “Jumpstart to Summer” promotion kicks off April 17 with one amazing grand prize: one lucky traveler will win 6.5 million rewards points – the biggest individual points prize ever offered by a hotel company. Since free room nights with Best Western start at 8,000 points, the winner could redeem these points for more than two years of hotel rooms! · Those who register are also entered in a daily drawing for a $65 Best Western Travel Card (to celebrate Best Western’s 65th birthday). 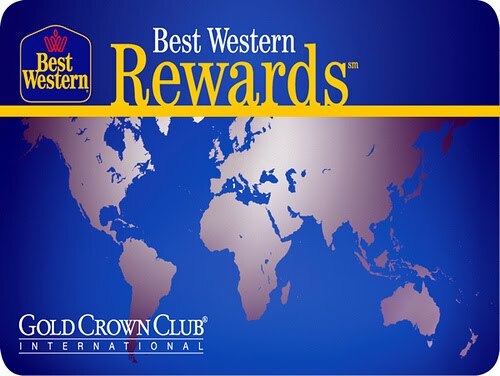 Then, those who complete three separate stays at two different descriptor hotels (a BEST WESTERN, BEST WESTERN PLUS and/or BEST WESTERN PREMIER) will be automatically entered into a drawing for 6.5 million Best Western Rewards points. Five second prizes of $650 Best Western Travel Cards will also be awarded. *** More of your questions answered here. Jumpstart is valid for all Best Western Rewards Members in North America including Canada.